Every year I take a group of people away on a coaching trip to the Islantilla Golf Resort in Spain in. The 27 Championship Holes are stunning to play. Included are transfers to and from Faro Airport, as well as four nights four star accommodation at Islantilla Resort in Spain on a half board basis. We have three and a half to four rounds of golf, where I will play with every member of the party on all days. 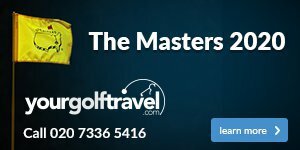 The practice facilities are outstanding and we have unlimited range balls and tuition daily from myself. "Thank you again for your organisation and thoughtful arrangements made for the trip to be as successful and enjoyable as it was!" "The organisation, preparation and coaching that you provided during the four days was beyond expectations!" 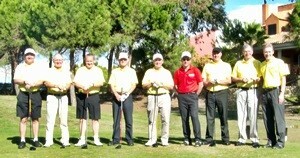 "I would just like to thank you for organising and leading the Golf Coaching trip to Spain. 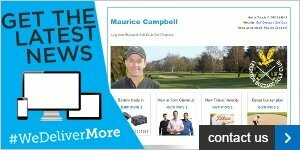 First of all, not having played golf in Spain before, I found it a most enjoyable experience, and it is the skills coaching in particular I wanted to thank you for." "I loved the instruction and your personal attention to my specific needs and capabilities!" "Yes, I very much enjoyed our trip (better than a holiday) and you made us work and think. It's the small things in your instruction that actually do sink in and is something that will help in future." "I enjoyed the company of my fellow travellers and your excellent tuition. Also, your planning and presentation of all tuition/instruction, and as a group leader for the trip."